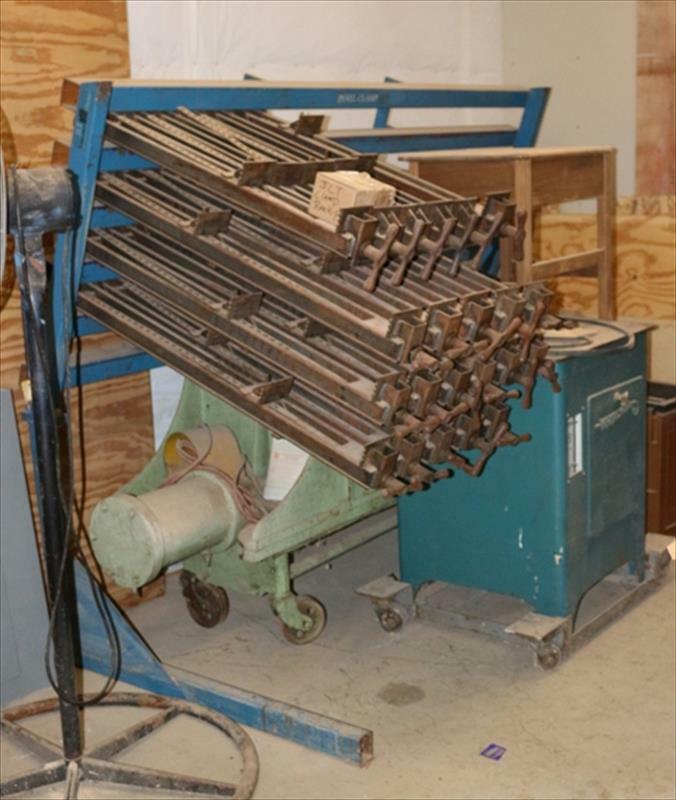 Size: 96" x 40" x 60"
Manufactured By: J. M. Lancaster, Inc.
JM Lancaster clamp rack. 8' length with twenty 40" clamps & five 32" clamps. Five different heights, These clamp jaws exert more pressure than just a pipe clamp, you can clamp multiple large assemblies, doors, drawers and some bent laminations & then leave them to dry in rack. Clamps hold work flat & straight. Definetly saves your back not having to move large glue ups around. Due to a relocation I am selling all the equipment from my custom furniture business.